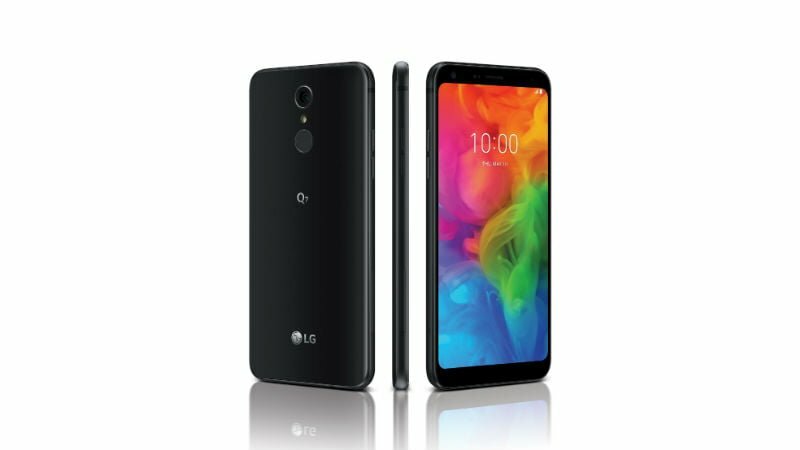 South Korean smartphone company LG has now unveiled its mid-range LG Q7 smartphone, as the successor to last year’s LG Q6. The LG Q7 also comes in three variants- Q7, Q7+ and Q7 Alpha. All the three smartphones feature similar specifications but differ when it comes to storage and RAM configuration. Like last year’s LG Q6, the Q7 trio also features the 18:9 panel on the front, MIL-STD 810G certification and it could be launched in India too. Both the Q7 and Q7+ will be available in Moroccan Blue, Aurora Black and Lavender Violet colour options, while the LG Q7 Alpha will be available in just Moroccan Blue colour option. 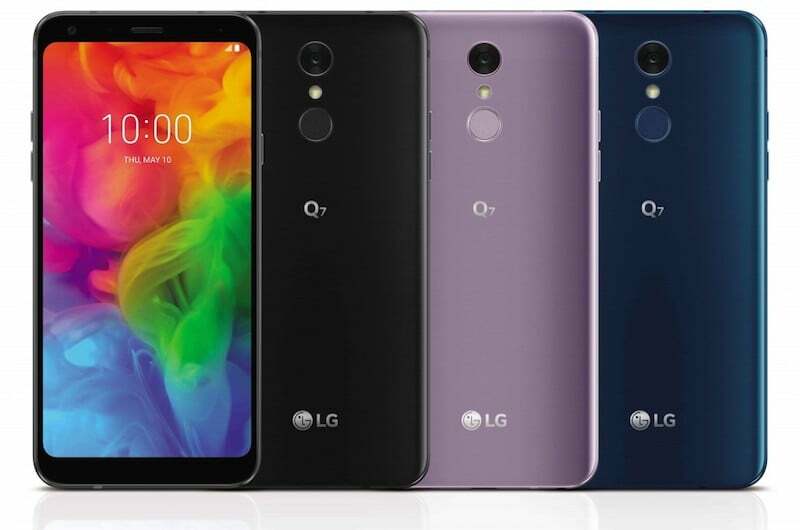 Being a successor to last year’s LG Q6, the newly launched Q7 also boasts similar specifications. All the three variants of the LG Q7 flaunt a 5.5-inch Full HD+ display, carrying a resolution of 1080 x 2160 pixels. It’s an 18:9 panel and LG is terming it as a FullVision display. Internally, the smartphone is powered by an octa-core processor, but LG stated the clock speed would depend on the market- either it will be 1.5GHz or 1.8GHz. It could be the Snapdragon 450 SoC since the LG Q6 arrived with Snapdragon 435 SoC. The LG Q7 and Q7 Alpha come with 3GB of RAM, while the Q7+ comes with 4GB of RAM. Internal storage goes up to 32GB. The three smartphones also differ in terms of camera configuration. There’s a microSD card slot for storage expansion up to 2TB. The LG Q7 and Q7 Alpha come with a 13MP camera at the back, whereas the Q7+ ships with a 16MP camera at the rear. The Q7 Alpha rocks a 5MP selfie shooter, while the Q7 and Q7+ rocks either a 5MP or 8MP selfie camera depending on the market. Connectivity options in the smartphones include 4G LTE, VoLTE, Wi-Fi 802.11 b/g/n, Bluetooth 4.2, NFC and a USB Type-C port. A 3000mAh battery is present on three variants with support for Qualcomm Quick Charge. The camera app comes bundled with various AI-related features such as the Portrait mode that’s completely based on AI. The fingerprint scanner is present on the rear this time around as the LG Q6 did not offer a biometric sensor. The LG Q7 also ships with Face Unlock feature. The premium LG Q7+ also offers Hi-Fi Quad DAC for enhancing the music listening experience. LG is yet to announce the pricing of the smartphone, but it did confirm the phone will be made available in North America, South America and Asia countries at a later date. The device will go on sale in Europe early in June. Interesting. May be worth buying if priced not too much above Redmi/Honor. LG has legendary build quality. I feel mentioning the dimensions (LBH) is important because we all need to know if the device is ergonomically suitable for one hand operation (for many). Consider mentioning dimensions.